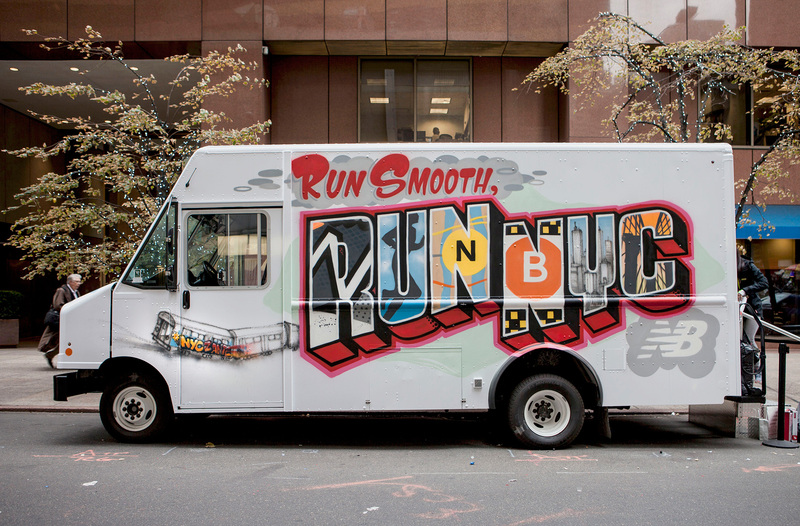 On Halloween this year, we worked with New Balance on an activation for the New York City Marathon. They were releasing the NYC Zante which was a new shoe for the marathon. 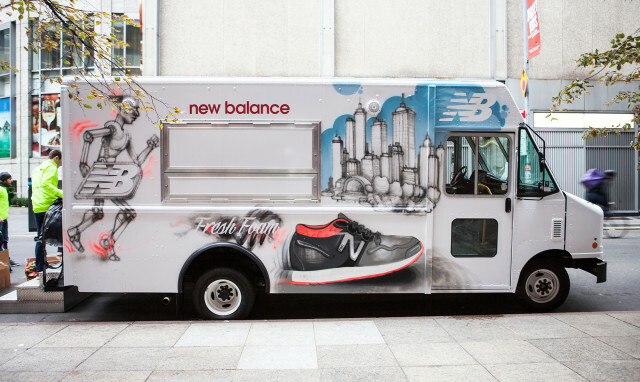 New Balance filled a box truck in midtown with their new shoes and gave away sneakers to runners who were willing to donate the sneakers on their feet! 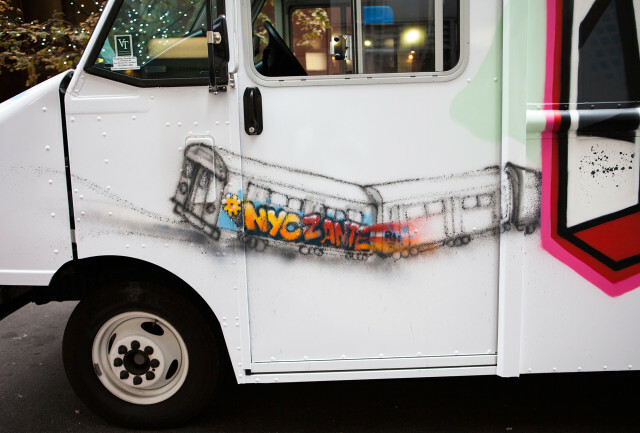 While this was happening, we were creating custom artwork on the exterior of the truck. Check out some photos of the project below along with video of the event! 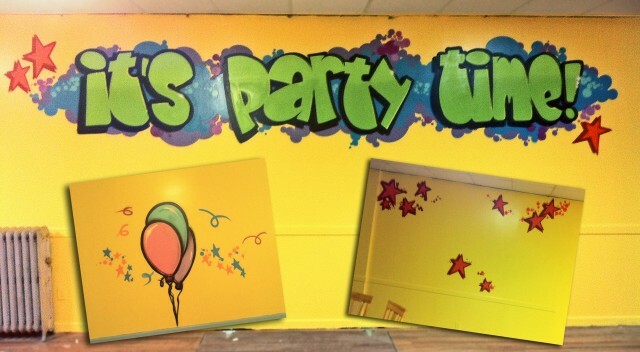 We have done a lot of work for events such as birthday parties (no matter how young/old), bar mitzvahs, bat mitzvahs, anniversaries, meetings, etc… Adding some graffiti as a backdrop to an event can easily create a festive atmosphere! Below are a couple examples of very basic work that we have done in the past for parties. We are also able to provide live graffiti services and do custom names on gifts at events. 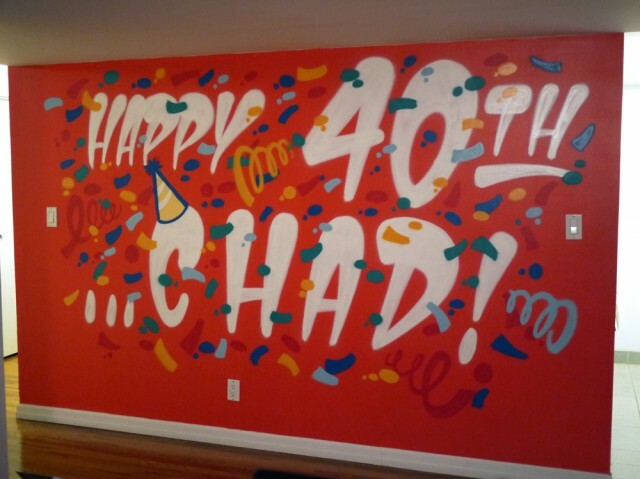 If the event is indoors, we would use acrylic paint markers instead of spray paint to cut down on the fumes.